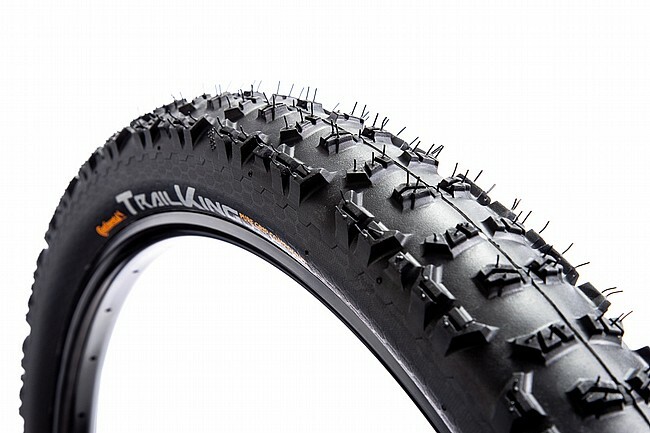 Continental's Trail King Performance 27.5 Inch MTB Tire shines on enduro and all mountain bikes with a suspension travel of greater than 140mm, thanks to its comfortable and voluminous casing. The multitude of small knobs guarantee superb traction on difficult trails. Weight: 865g (x2.4), 780g (x2.2).